Wonderful stay in Barcelona!! It’s my first time staying in a hostel. I didn’t expect that it would be that good. The staff are really nice and helpful. The location is definitely a plus. Almost every famous tourist attraction is within walking distance. 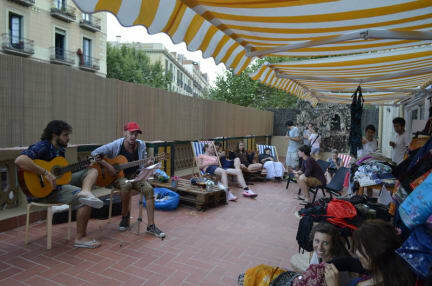 I will choose this hostel if I ever come back to Barcelona. This is the best hostel I have ever stayed. It is close to the city center and easy to be found. The staff are kind and patient and helpful, and activities here are wonderful. The vibe is good, you can meet people here and make friends. Highly recommend! Nice place with very nice people. Rooms are big and nice. Very safe place to stay, convenient. We had great time staying.